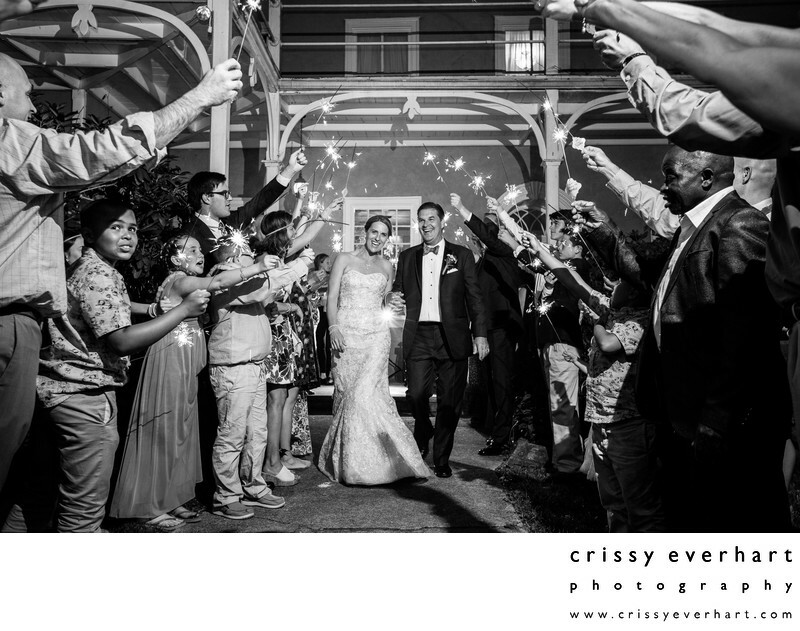 This young at heart couple did a sparkler exit at the end of their reception at Historic Yellow Springs in Chester Springs, PA. Friends and family held the fireworks as the bride and groom ran through the line and to their getaway car. Congratulations! Location: 1685 Art School Rd, Chester Springs, PA 19425.